Redken Shades EQ is a versatile demipermanent hair color that can enhance your natural hair color, correct color tone mishaps or simply blend away gray hair without lifting natural hair color. It can be used by itself or in combination with Shades EQ gloss for a shiny effect. Whether you want to cover gray or correct brassy tones, Redken Shades EQ makes it easy. Redken Shades EQ will cover or blend gray. Use a neutral base shade to balance the dye in your formula for best results. The amount of gray you wish to cover will determine the amount of neutral base shade you use. If you have 25 percent gray, use ½ oz. of hair color; for 25 to 50 percent, use 1 oz. For 50 to 75 percent gray, use 1 ½ oz. of hair color and for more than 75 percent gray, use 1 ¾ oz. The processing solution ratio for Redken Shades EQ is 1:1. If you have 25 percent gray, you would use 1 oz. hair color to 1 oz. processing solution. 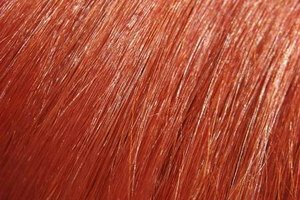 Mix the correct amount of hair color with the proper amount of processing solution and apply immediately. Part hair into four sections and take ¼ section and apply to dry hair. For fine, delicate hair, process hair in room temperature for 20 minutes. Normal-resistant hair should be processed 15 minutes, using a cap under a dryer. More resistant gray hair should be processed for 20 minutes under a dryer. Rinse the mixture, shampoo and condition with Color Extend. To tone down brassy color, consider a green neutral shade, a neutral shade or a titanium shade. To lowlight hair and add more depth, select the correct level and tone of Shades EQ Color Gloss and hair color. If you’re unsure what shade or gloss to use, you should visit your nearest beauty-supply consultant and ask his advice or ask to see the Redken Shades EQ chart. However, please note that when lowlighting, it’s important to formulate lighter than the natural level and include warmer tones in the shade your choose. Select the appropriate shade or gloss to balance your current results. Mix 1 oz. of hair color to 1 oz. of processing solution and apply immediately to the hair. Part hair into 4 sections and apply to ¼ section of the hair at a time. Make sure hair is fully saturated. Process the hair at room temperature for 20 minutes. Then thoroughly rinse hair, shampoo and condition with Redken Color Extend. 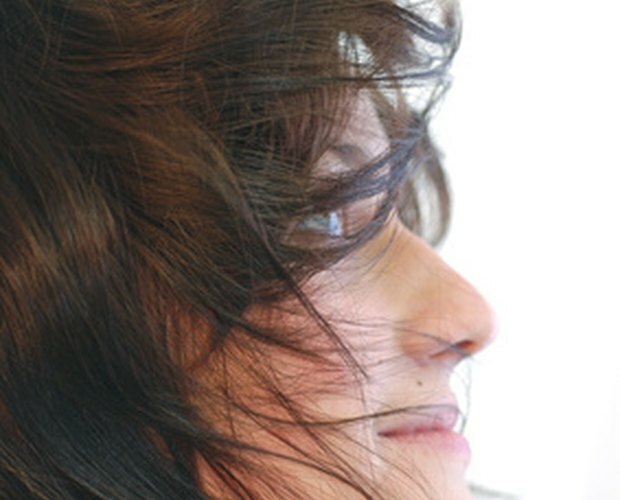 Renata Barber is an advertising copywriter in Los Angeles. Her articles on design and travel have appeared in print along with the website eHow. She has scripted media for cable, radio and feature films. Recently, she is the author of two published novels and is currently working on her third. How Do I Mix Redken Color Gels?